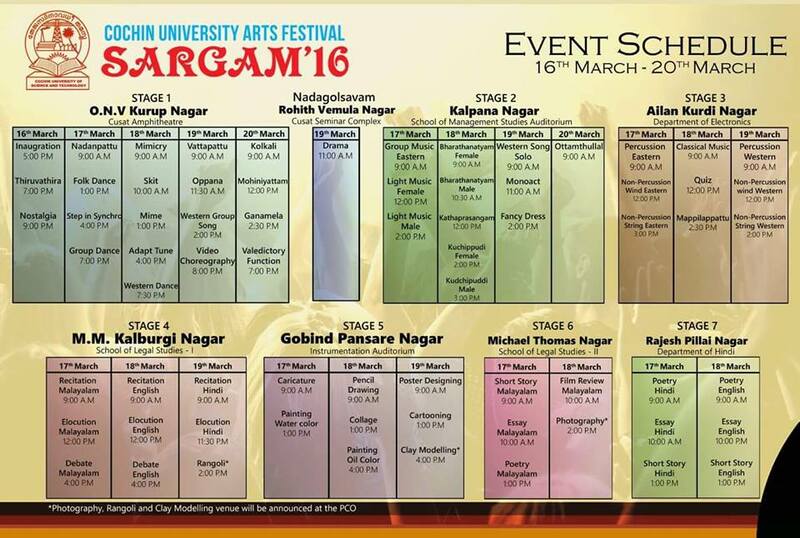 Attaching the Program Schedule and Venue list for Sargam 2016 – the prestigious Arts festival of CUSAT. Sargam 2016 starts from 16th March 2016 and will continue till March 20, 2016. Schedule for SARGAM’16 is out. The countdown is on for the most awaited University Arts fest… Gear up Teams!